One of the most precious resources we have at our disposal is time. And although it is the gift of a God of infinite power, the gift itself is finite. Unless you live on another planet, every one living on this one has exactly 168 hours in a week–and a week has only seven days. God has given each of us needs (such as sleep), responsibilities (such as parenting),, and resources (such as healthy bodies). And how we use our time affects these things. Realistically, each of us have about 50-55 hours for work. If we work beyond that for an extended time we start diminishing our effectiveness and ultimately we have burnout. Time is a tool and God calls us to use our time for His purposes. We need not be paranoid about our time, but most of us need to manage our time to our lives available to do ministry. Great leaders know how to manage their time and to teach their church not to waste time. Great churches know that in ministry timing is everything and exhibit courage to act in a timely manner. There is chronos time. That’s what we experience on the clock. 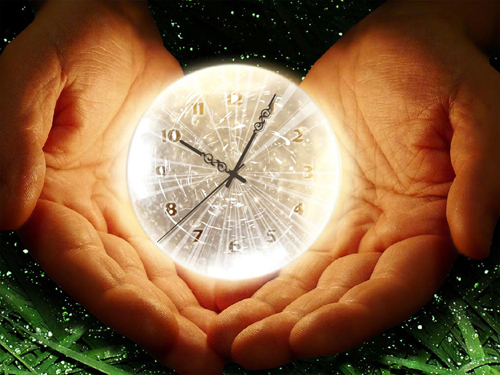 There is kairos time – the “times” if you will, when great Kingdom events occur. Great churches learn to shift gears and focus their resources when kairos time occurs. Are you learning to use the time God has given you to maximize your kingdom effectiveness, A brutally honest examination of your calendar may start to give you a clue.